Een van de beste surfnaties van Zuid-Amerika. Het kustgebied rond Lima is gedurende het hele jaar droog en regenloos! De winters kunnen koel zijn en de stranden zijn dan vaak bedekt met zeemist. Zomers (december tot april) zijn warmer, maar mistige dagen zijn nog steeds mogelijk. Watertemperaturen zijn koel, maar comfortabel. In de zomer kun je alleen shorts of lentesuit dragen. Lobitos Surf Camp - Lobitos, Talara Algehele gastenwaardering: ★★★★☆ 3.7 gebaseerd op 4 beoordelingen. 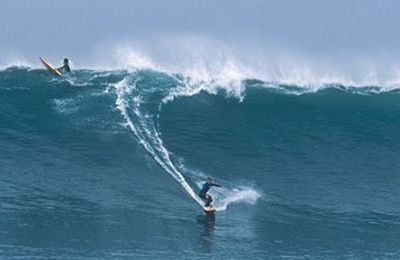 PUNTA HERMOSA Surfhouse, Surfaris, Surf Tours & Surf Camp - Lima, Pico Alto Algehele gastenwaardering: ☆☆☆☆☆ 0 gebaseerd op 1 beoordelingen. 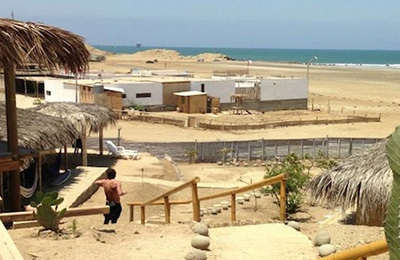 The first Surf Camp in Peru, in operation for fifteen years, the surfhouse enjoys a perfect location in the surfing community of Punta Hermosa. 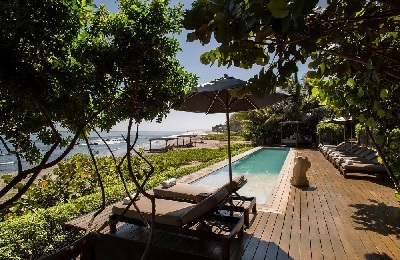 Mancora Surf Villa - Mancora, Puira Algehele gastenwaardering: ★★★★★ 5 gebaseerd op 2 beoordelingen. This Lodge is a unique hotel, on the one hand for its ecological conception, and on the other for the quality of the personalized attention provided. The hotel was built in collaboration with the city and its artisans. The infrastructure includes five rooms and a private two story apartment. 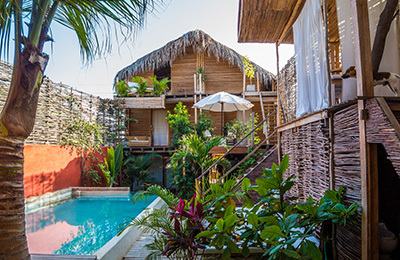 Mancora Yoga & Surf Retreat - Mancora District, Piura Algehele gastenwaardering: ★★★★★ 5 gebaseerd op 2 beoordelingen. Get the best of both worlds; enjoy an adventurous and relaxing holiday in Mancora, Peru. We are only a few steps away from the Pacific Ocean; you can easily walk out of your cabin if you're looking for some action like going for a swim, canoeing, or catching some waves. With complete room amenities such as 40″ TV screen, and DirecTV, security safe box, hairdryer, air-condition, fan, tea set, bath products, Bamboo fiber towels. Free access to Wi-Fi, library, mini bar, outdoor pool, designated smoking area, and more.